Members of the House of Representatives introduced the Music Modernization Act and now it’s with the Senate. This is the most important music copyright bill in a generation and it affects creators and how they get paid. At present, it’s actually unclear if the Music Modernization Act would have enough votes to pass in the Senate. Currently, the bill has amassed 46 co-sponsors, out of a total body of 100 Senators. 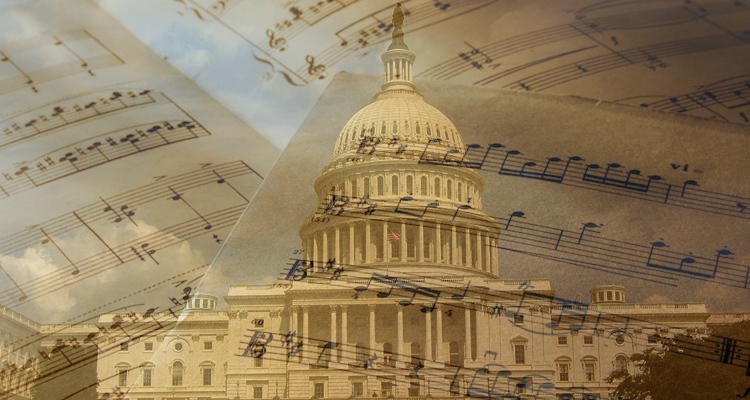 Undoubtedly, organizations like the American Society of Composers Authors and Publishers (ASCAP), Songwriters of North America (SONA), National Music Publishers’ Association (NMPA) and Recording Industry Association of America (RIAA) are lobbying intently to rally on-the-fence legislators. It’s also uncertain if the MMA is still being prioritized. As of Monday (August 13th), the Music Modernization Act isn’t even listed on the US Senate’s schedule of ‘Active Legislation‘. FLORIDIAN SONGWRITERS: WE NEED YOUR HELP. MAKE YOUR VOICES HEARD. 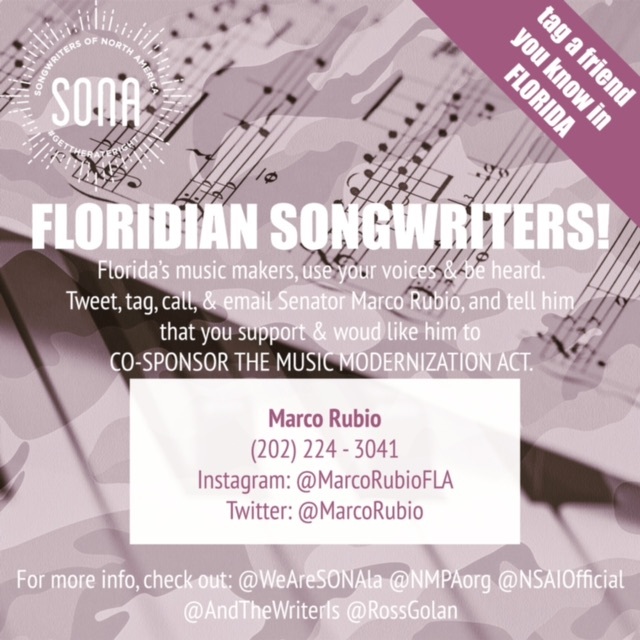 Tweet, tag, call & email Senator Marco Rubio and tell him you’d like him to Co-Sponsor the Music Modernization Act.